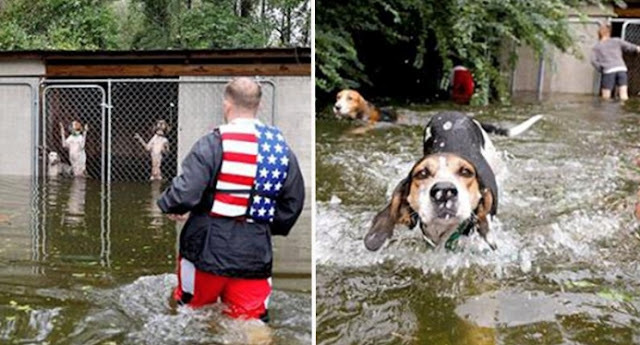 Hero volunteers have rescued six dogs found abandoned in a locked cage in North Carolina, where they nearly drowned in the Hurricane Florence's fast-rising flood waters. Video of the heroic rescue has gone viral and shows the dogs barking and standing on their hind legs, desperate for someone to let them out of the cage. 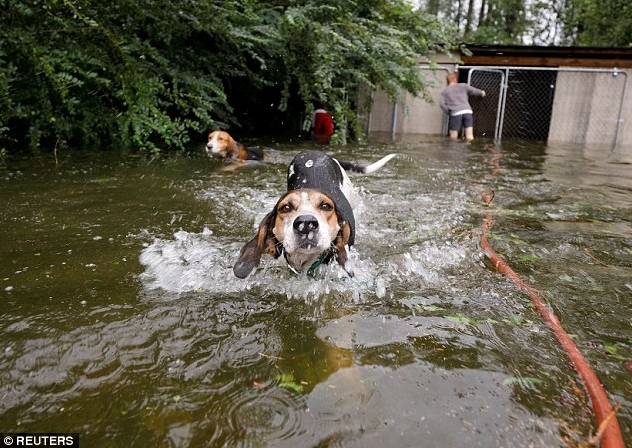 The dogs were rescued from a property in Leland, North Carolina where their owners left them as they fled Hurricane Florence, without thinking of how the animals would fare in the violent storm. 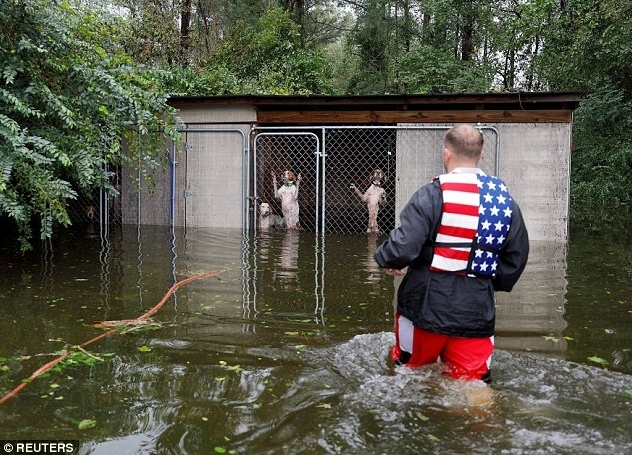 'Rescued six dogs in Leland, NC, after the owner LEFT THEM locked in an outdoor cage that filled with flood water that was rapidly rising,' Journalist Marcus DiPaola posted on Twitter on Sunday. 'We got them out, but by the time we left, the water was so high that they would have drowned. BRING YOUR PETS WITH YOU! #HurricaneFlorence,' he added. The videos sees the dogs whimper as they see a volunteer rescuer Ryan Nichols of Longview, Texas wade in the knee-deep water towards them to come to their aid. Seconds after Nichols unlocks the chain link fence closing them into the cage, the dogs swim out, whimpering and howling. 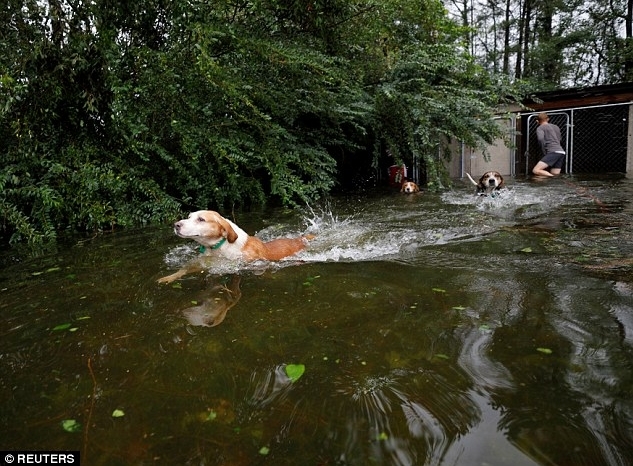 North Carolina saw flood waters reach four feet in height on Sunday and it's steadily rising. Flooding near the Yadkin river in Jonesville is forecast to crest at 26.6 feet, according to accuweather.com. Responses to "Hurricane Florence Hero Volunteer Rescues 6 Dogs Abandoned In Locked Cage"